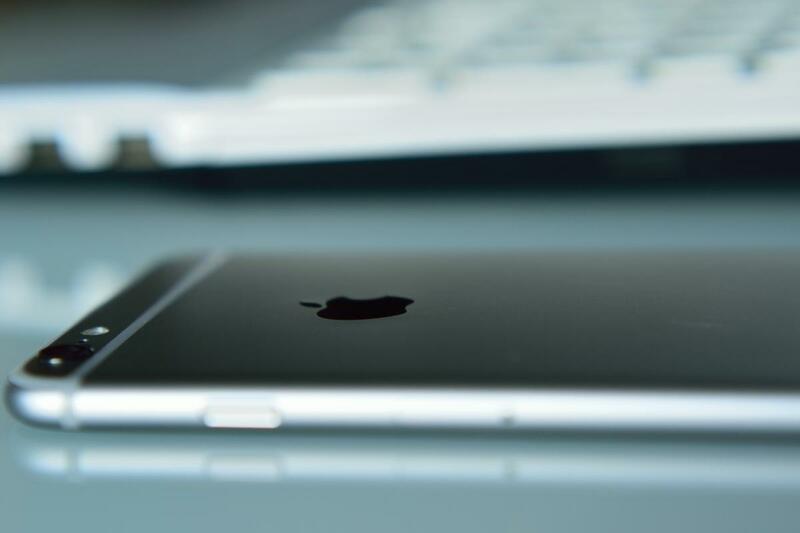 Apple's rumored iPhone 5se could find the sweet spot between size, features, and price. The iPhone 5c might be the most confusing product Apple has ever made. Released alongside the iPhone 5s in 2013, the “unapologetically plastic” handset was seen by many as a cheap alternative to the high-priced flagship, a way for Apple to attack the midrange market, much like it did with iPod nano. Except that wasn’t the case. The iPhone 5c was basically an iPhone 5 in colorful clothing. The changes inside were minimal–slightly larger battery, minor camera improvements–and it cost exactly as much as a discounted iPhone 5 would have, despite its nonmetallic enclosure. We’ll never know exactly what Apple was trying to accomplish with the iPhone 5c before it was retired last year, but I always assumed it was something of a test to see if older models would sell better with fresh enclosures. And now it seems as though the spirit of the 5c is about to be resurrected. A new rumor by Mark Gurman of 9to5Mac says that Apple is planning to release a brand-new handset that combines the body of a 5s with the power of a 6s. Dubbed the iPhone 5se, it looks to be everything the 5c wasn’t. In a world of bigger and bigger screens, the iPhone 5’s 4-inch screen is downright puny. But just because it doesn’t measure up in the pixel department doesn’t mean it doesn’t have value; Tim Cook said himself during Tuesday’s earnings call that some 60 percent of iPhone users have yet to upgrade to the larger-screened 6 or 6s. Now, there could be any number of reasons for that–switching to Android, cost, procrastination–but something tells me that a good chunk of them simply don’t want a larger phone and aren’t willing to try one on for size. It might look tiny for those of us who have moved on to bigger phones, but plenty of people still like a 4-inch screen size. Those who aren’t interested in super-sizing don’t have many options. The only smallish phone in Apple’s lineup is the iPhone 5s, a capable phone for sure, but one with a generations-old processor, Touch ID sensor, and battery, and lacking newer accoutrements like Apple Pay and Live Photos. So while it might be offer decent speed boost over the iPhone 4 or 4s, I can’t imagine there are too many existing iPhone users willing to drop $450 on two-year-old technology. Plus, with a storage capacity that tops out at 32GB, the 5s is clearly aimed at lower-end entry-level buyers. But this new phone, with its rumored A9 processor, 64GB of storage, and NFC chip, is a different animal. According to Gurman, it’s poised to take the place of the 5s, $450 price tag and all. That’s a bargain, and it would represent the continuation of a plan it started with the iPhone 6 Plus: diversification. When the iPod began to take off, Apple made a very uncharacteristic decision. Instead of continuing to focus on high-end users with higher capacities and killer designs, it tackled all segments of the market, first with the iPod mini, and then with the shuffle and nano. At the height of its popularity, there was an iPod for every want and wallet, which no doubt contributed to its ubiquity. The high end isn’t the only place to grow a product line. The iPhone 6 Plus followed a similar plan, but instead of going after a lower-range segment of the market, Apple doubled down on premium. It was a smart move, one that not only resulted in record sales, but also solidified the iPhone as the top luxury handset on the market. Apple sold more than 200 million iPhones last year, and it’s not too big of a leap to think it wouldn’t have had such robust numbers without the Plus, even if it does cost more than customers were used to spending for an iPhone. So far, Apple hasn’t priced a current-generation iPhone less than $500, a price point that could very well be a psychological barrier for hold-outs. Especially in the age of disappearing contracts–where the full price is no longer hidden under subsidies–a less-expensive iPhone that isn’t saddled with outdated technology could provide a serious boost to Apple’s sales numbers. A new 4-inch iPhone wouldn’t just give iPhone 4 and 5 lovers a reason to finally upgrade, it would expand the line to anyone who has balked at buying a smartphone that costs more than a tablet. And much like the mini opened up the iPod line to more casual music lovers, a new small iPhone just might be the push millions of feature phone and iPod touch users need to get over the fence. 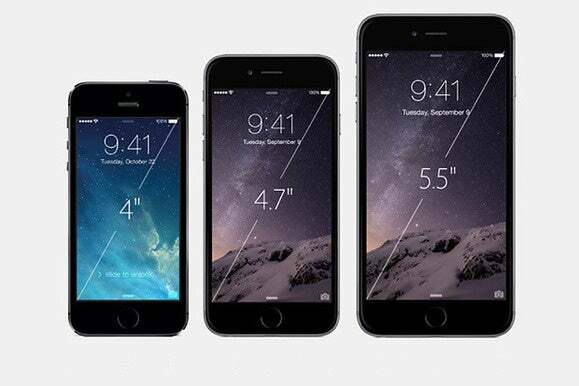 Apple doesn’t like to deviate from its iPhone schedule. The last time it did so was in January 2011 with the Verizon-compatible iPhone 4, the same year it shifted the update from spring to fall. The annual September event timeslot–which was previously reserved for the iPod–has belonged to the iPhone since the 4s, and I don’t see a rare midcycle iPhone changing that. 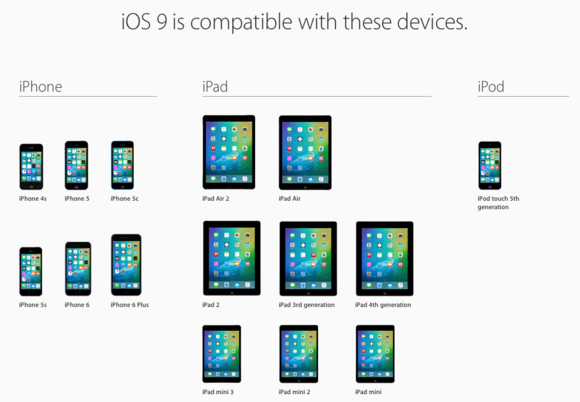 iOS 9 officially supports every device iOS 8 did, but we might not be so lucky with iOS 10—all the better to have a 4-inch phone with modern components that could run it. But the yearly iPhone release isn’t only about the latest hardware. Apple takes a great deal of pride in delivering fresh iOS updates to years-old handsets, but with each version another model falls off the list. And since Apple optimizes and designs iOS around the latest iPhones, the experience suffers some on older models that do support it. A new 4-inch iPhone would solve one of the biggest potential problems Apple faces with users clinging to their old 4-inch iPhones. Fragmentation isn’t an issue generally association with iOS, but the last thing Apple wants is to have millions of iPhones in the wild that aren’t able to enjoy the latest software features. And if iOS 10 is going to be as major as its number suggests, having three sizes of iPhone able to run it in all its glory will help deliver the best experience to as many users as possible. That makes some sense, but what he describes is essentially a miniature version of the 6, with curved edges instead of chamfers and the same silver, space gray, gold, and rose gold color options. And aligning with the 5 seems problematic; Apple’s numbering system is designed to clearly differentiate between new and old, but no matter how advanced the 5se is, people will still relate it to outdated technology. I don’t see why Apple wouldn’t call it the iPhone 6c or 6 mini, especially since the technology inside bears no resemblance to the 5. But that’s more of a marketing issue than a selling one. The fact is, a new 4-inch iPhone will inject some much-need excitement into the line again, as Apple gears up for the highly anticipated iPhone 7. And just like the iPod, we’ll be that much closer to the day when there’s an iPhone for everyone.